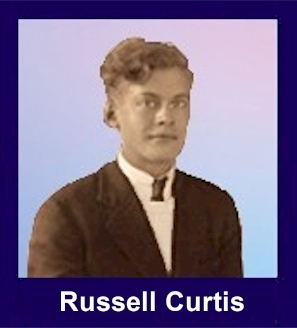 The 35th Infantry Regiment Association salutes our fallen brother, CPL Russell L. Curtis, 11024112, who died in the service of his country on January 14th, 1943 in Guadalcanal. The cause of death was listed as KIA. At the time of his death Russell was 23 years of age. He was from Maine. The decorations earned by CPL Russell L. Curtis include: the Combat Infantryman Badge, the Bronze Star, the Purple Heart, the Asiatic-Pacific Service Medal, and the World War II Victory Medal. Russell is buried in Wayside Cemetery in West Paris, ME. Russell resided in Grafton County, New Hampshire prior to the war. He enlisted in the Army on November 8, 1940, prior to the war, in Boston, Massachusetts. He was noted, at the time of his enlistment, as being employed as a Sales Clerk and also as Single, without dependents.